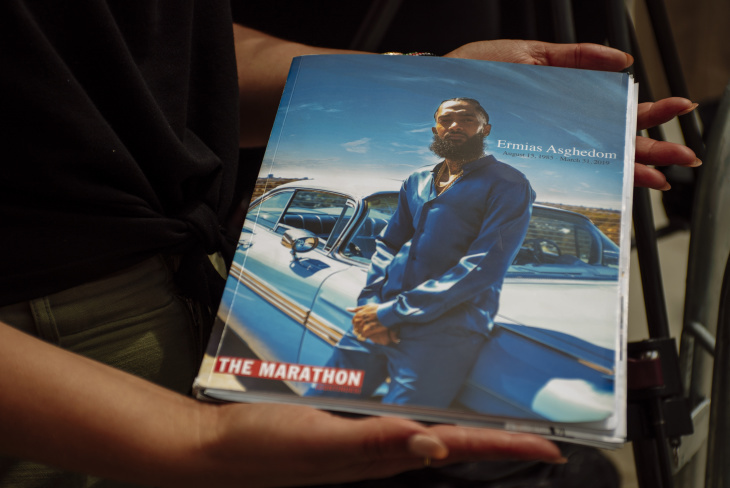 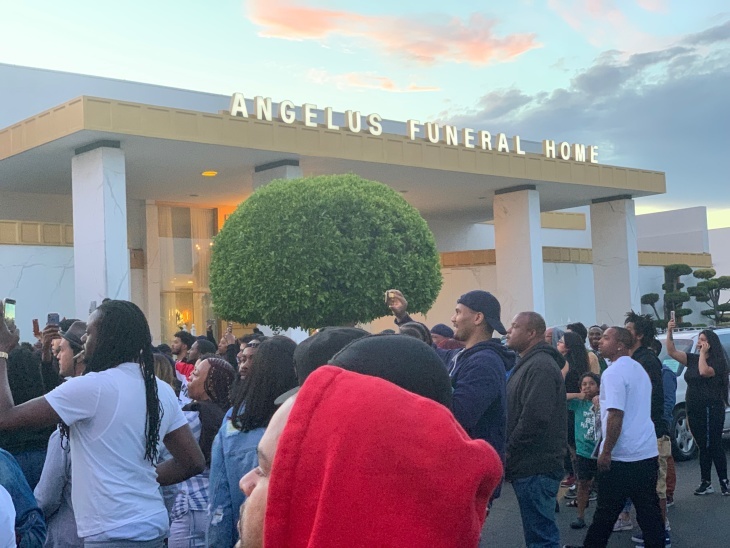 Yesterday, a hearse carrying the body of Nipsey Hussle took a 25-mile trip from Staples Center to the Angelus Funeral Home, a trip referred to as the late rapper's Victory Lap — a nod to the name of Hussle's debut studio album. 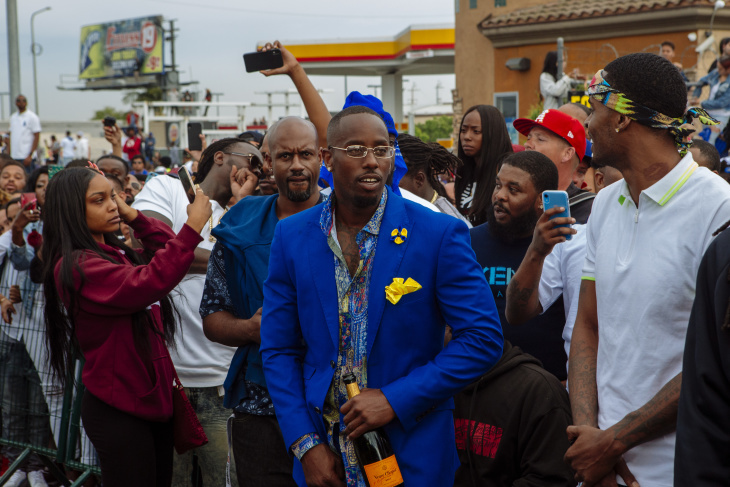 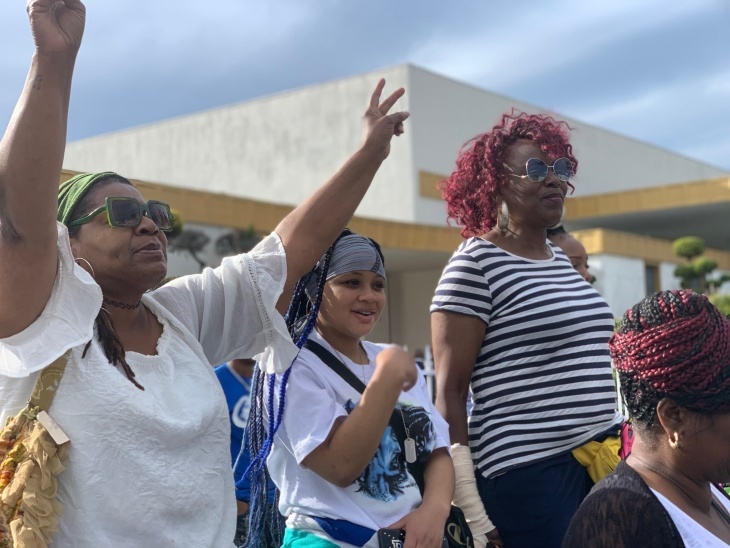 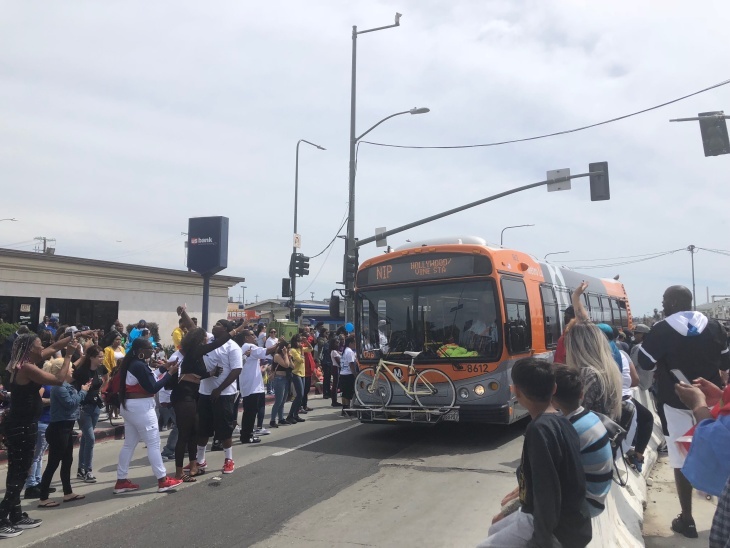 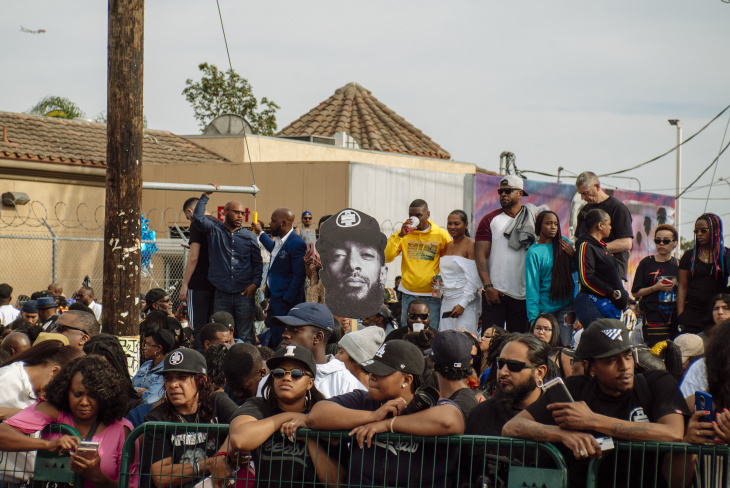 Massive crowds gathered on the streets of South Los Angeles, posting artists' tributes and celebrating the life of what many referred to as a hometown hero. 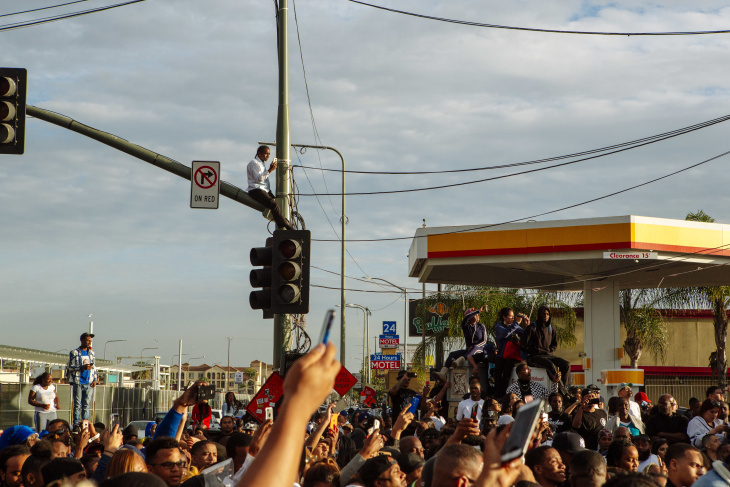 I'm here at the corner of Crenshaw and Slauson where folks are gathered to remember Nipsey Hussle. 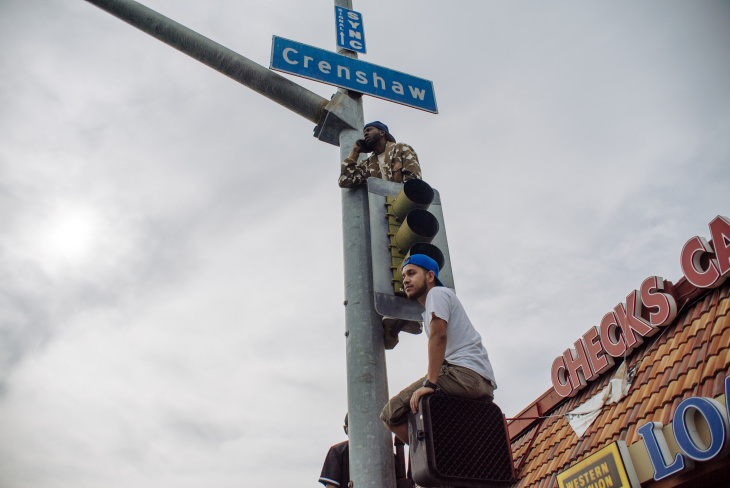 Hussle's influence was felt throughout the entire city — on Friday, the L.A. City Council unanimously approved a motion to rename the intersection of Crenshaw and Slauson "Nipsey Hussle Square." 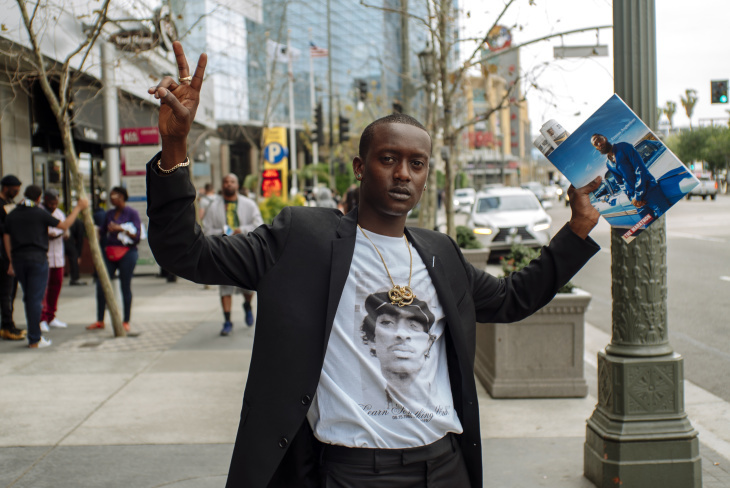 The City Council meeting adjourned early in memory of Hussle, after entering his work into the permanent record of the City of Los Angeles. 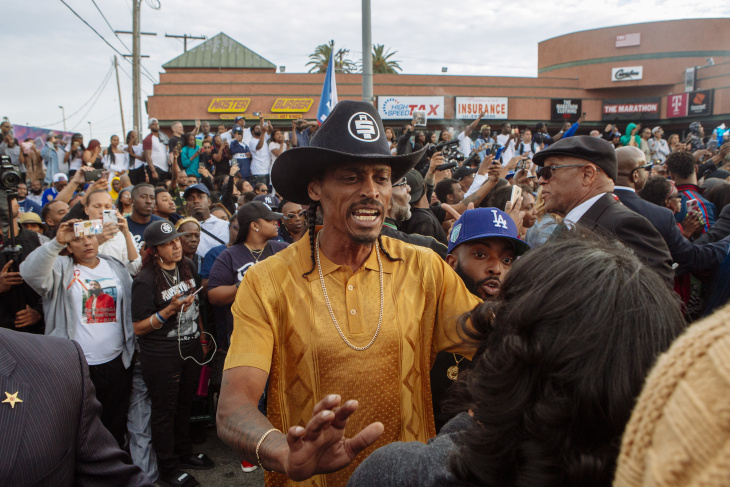 "He was a West Coast hero,"said Councilmember Marqueece Harris-Dawson, "who spent his resources and his life giving back to the community." 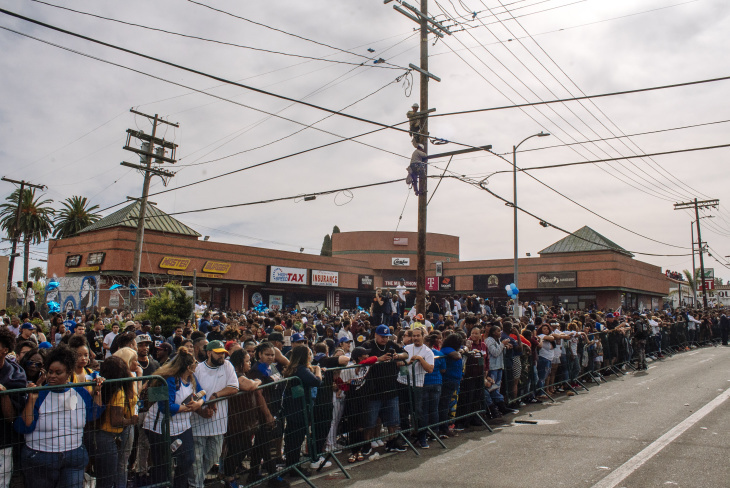 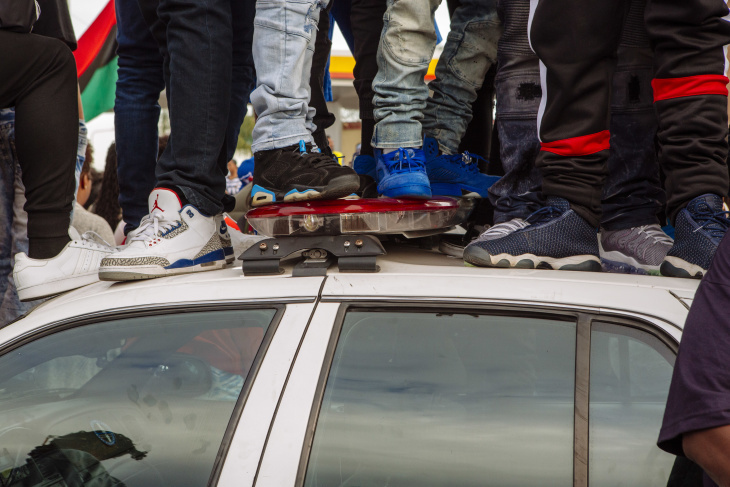 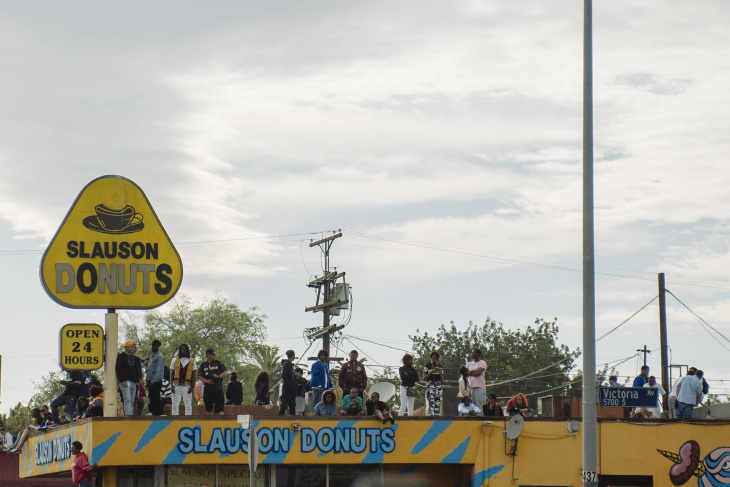 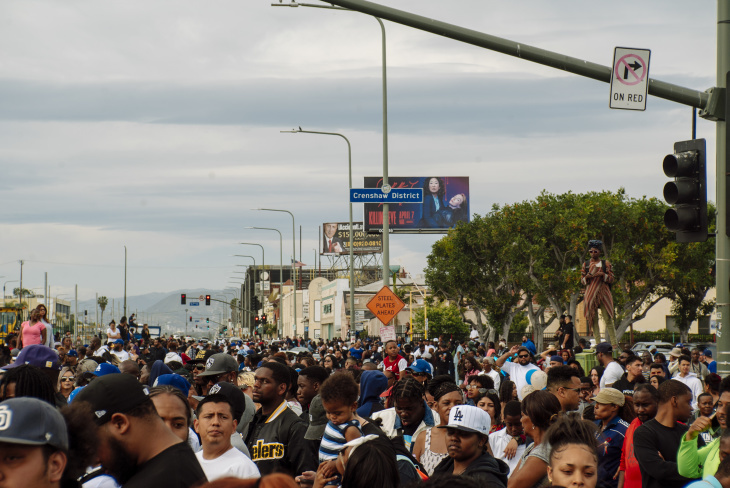 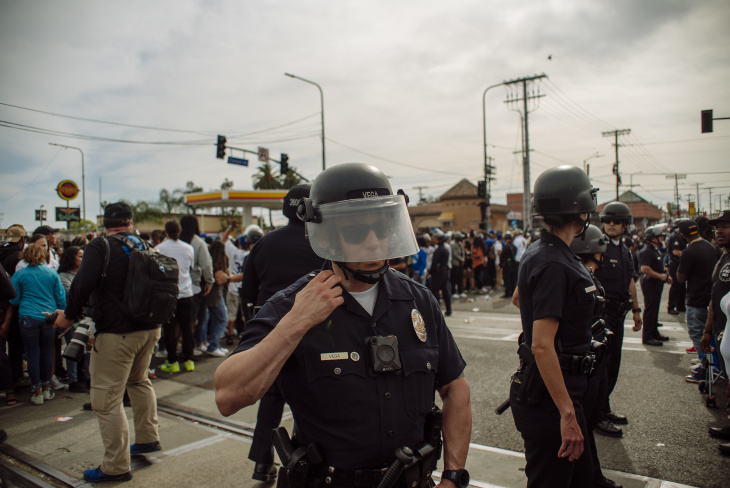 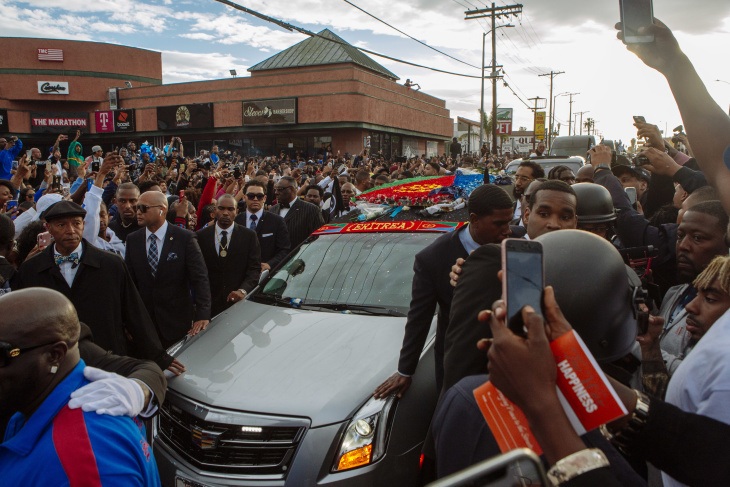 Here, scenes from Hussle's final trip through his beloved neighborhood. 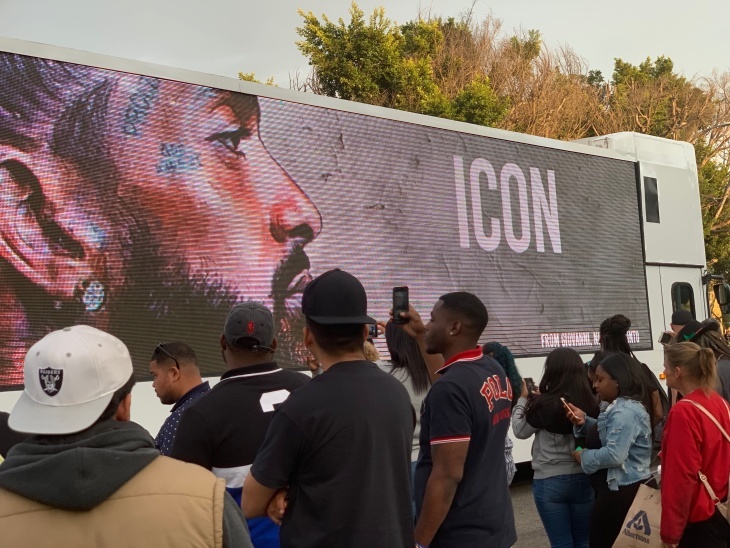 Turn up your volume (or put on headphones) to hear the many voices that spoke about Hussle at the scene. 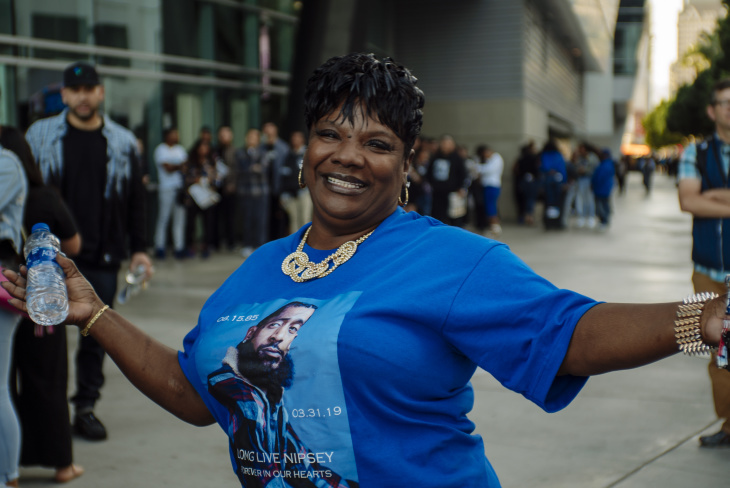 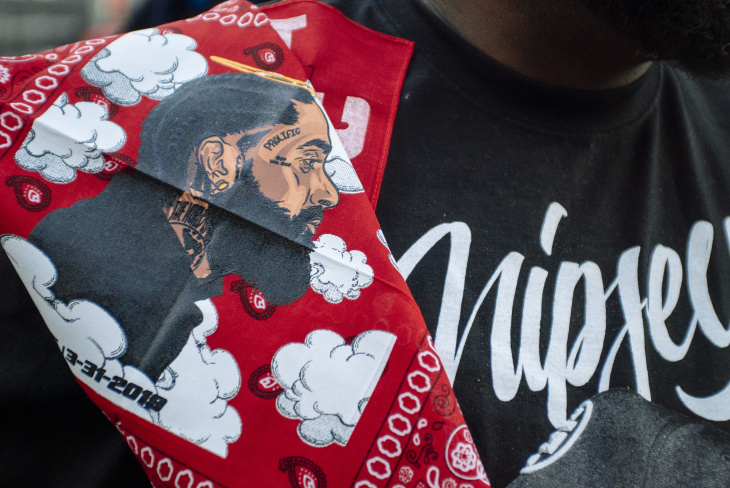 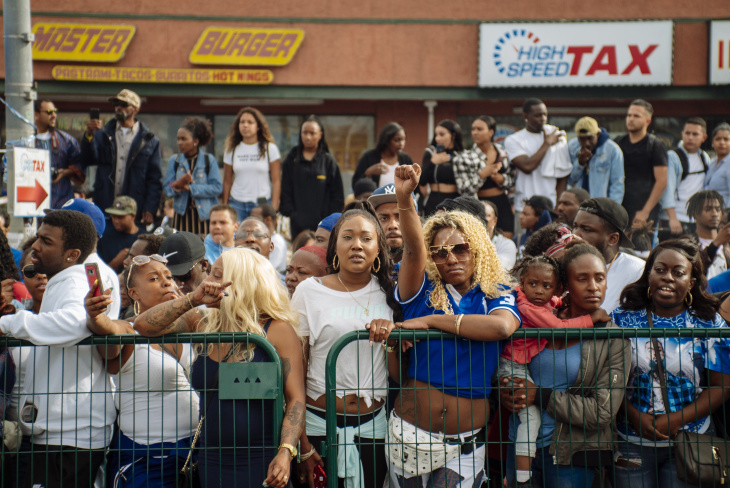 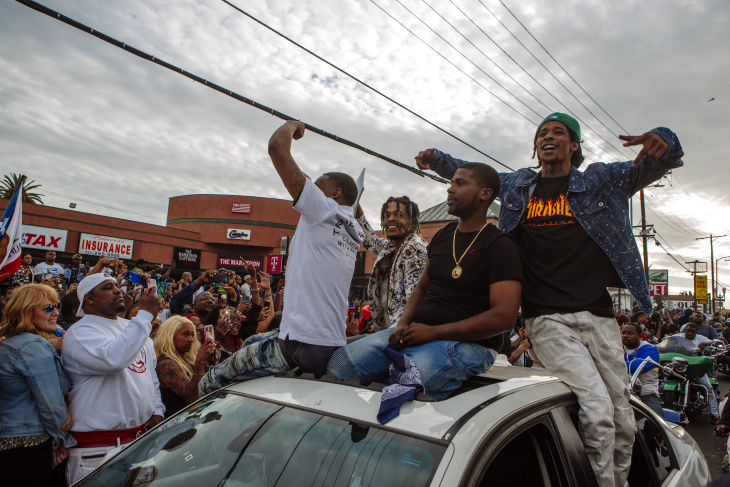 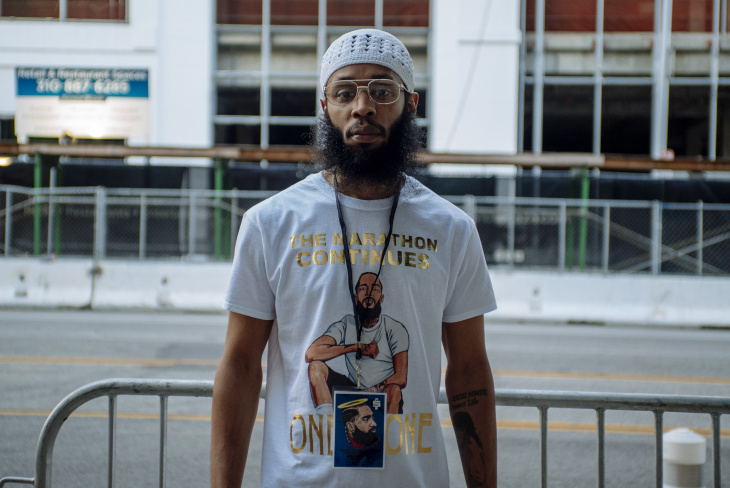 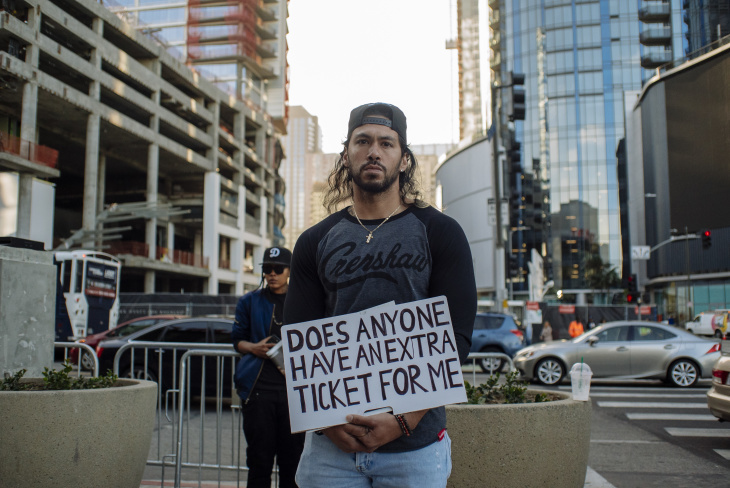 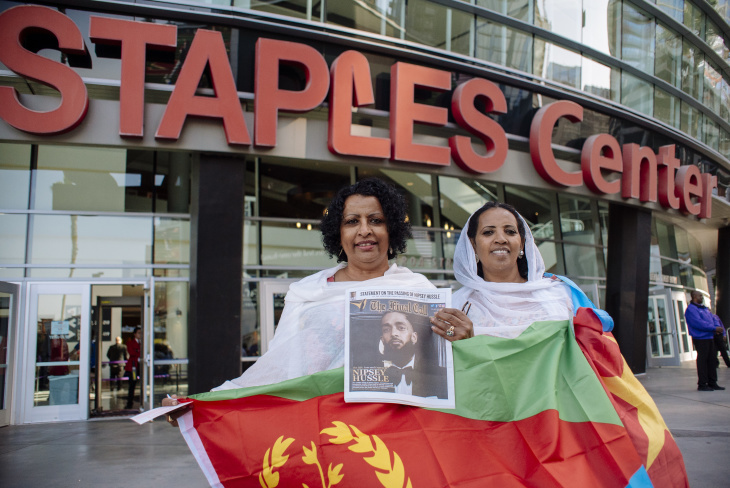 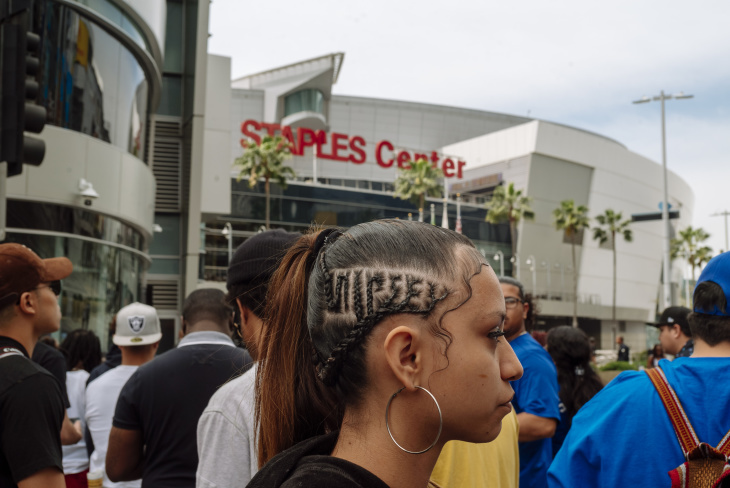 Tens of thousands of fans and friends celebrated the life of Nipsey Hussle yesterday. 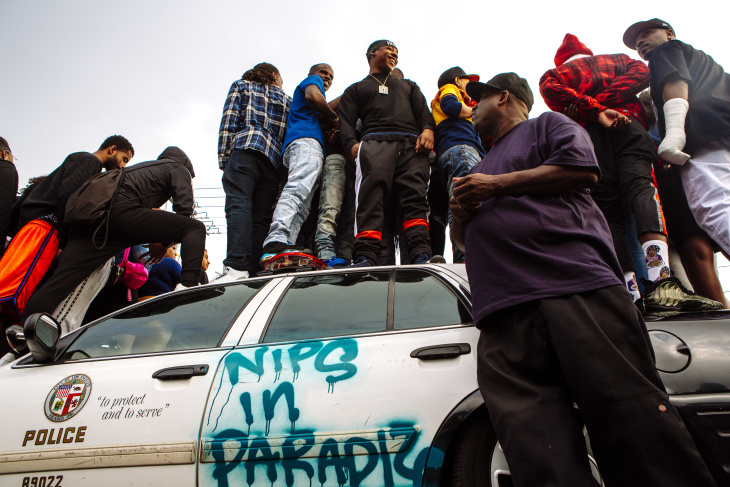 Here are the sights and sounds of the day.